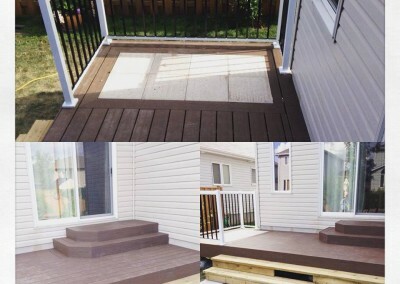 Deck in the west end. 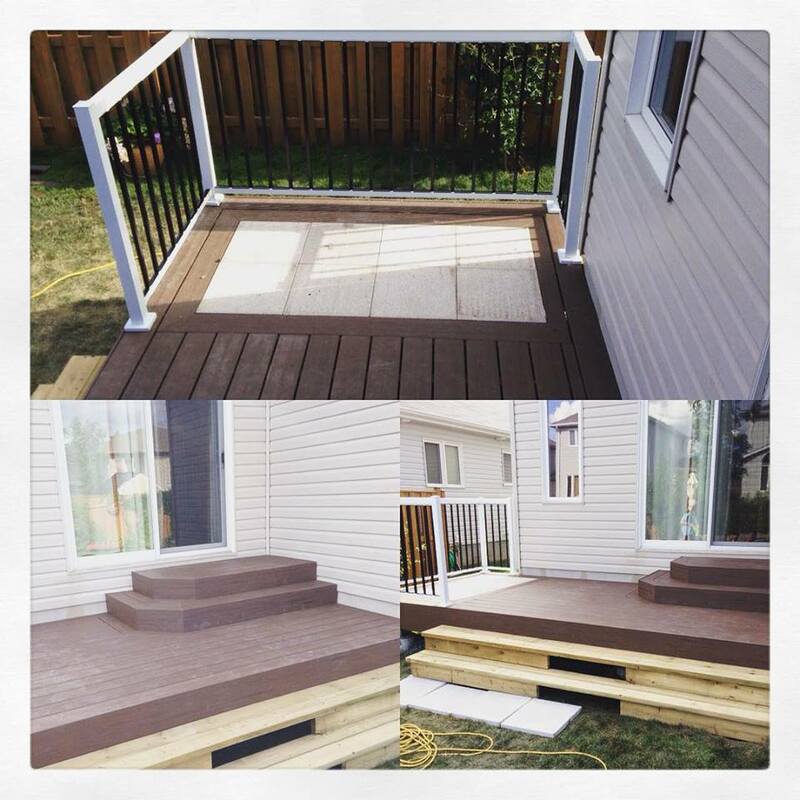 Composite decking on a pressure treated frame with an aluminum railing and a stone decking insert. The wooden stairs are temporary as they will be replaced with stone. Stay tuned for more.